How to Prepare A Healthy and Delicious Dish with Duck? The average cost of feeding a family of four continues to rise. Knowing your family has to eat, means scraping every penny together to go shopping for groceries. As this is a fluctuating and costly expense, finding ways to cut down on your grocery bill each month. 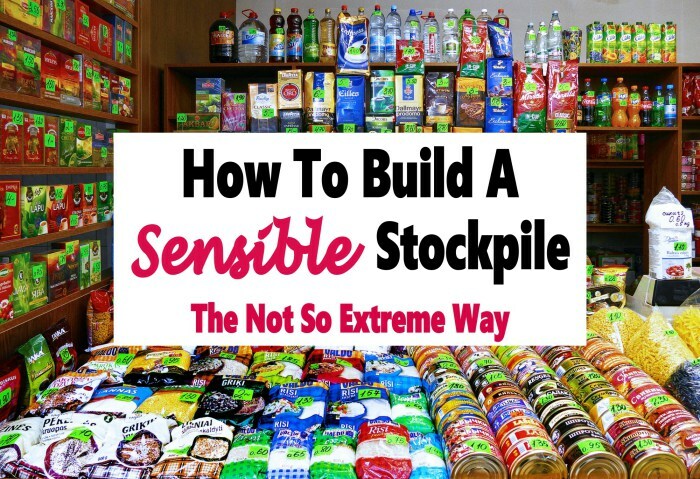 One way of doing this is to build a stockpile. By having things on hand that your family needs, you minimize your need to go shopping and shorten the length of your grocery list. Here are a few methods for building a grocery stockpile. Food is a necessity, but going over budget would cause problems in other areas. Setting a shopping limit ensures you don’t do this. Determine how much you have to spare in your budget to get an abundance of groceries. Depending on your finances, you can decide whether you need to build your stockpile over time (spending a little extra each shopping trip for storage) or if you’d like to get it out of the way (taking a large sum of cash and buying in bulk). If you’d like to choose the latter, you apply for a short-term installment loan. Even if you have bad credit, they have alternative payday loans for bad credit that can be used to get lots of groceries. If you plan on purchasing enough non-perishable items to last your family several months, you’ll need to clear out space. Find a spare room, shelf, or area in your home where you can keep all the groceries. If clearing out space involves removing items from the basement, attic, or garage, you might as well make some money out of it. You can sell anything you don’t need anymore online for cash and add it to your grocery shopping budget. Now comes the fun part. There are two objectives here. The first is to accumulate enough groceries to sustain your family for a while. The second is to save money. So, looking for deals helps you get more for your money. Whether you plan on building your stockpile slowly by spending an extra $10 or $50 per week or you plan on having a large sum of cash, your money goes further when you have deals. Check weekly circulars to see where the best deals are. You can also capitalize on couponing for extra cash off your grocery bill. To keep on top of your grocery stockpile it’s a good idea to have an inventory list. This gives you a detailed account of what you have on hand. As you use things (or give some away), you can mark your list. When things start to get low, you know it’s time for another grocery overhaul. Monthly grocery bills can cost families several hundred dollars that they simply don’t have. Yet eating is a requirement, so finding ways to cut back is a better option. There are plenty of ways to save on groceries including couponing, buying off-brand, and shopping when things are on sale, but one method that has helped families to shave hundreds off their groceries every year is stockpiling. Start your grocery stockpile at a pace that’s right for you and your budget, and it won’t be long before you see the savings. Why should we try sous vide cooking? Is Organic Food One of Many Healthy Food Choices Trends? How Smoking At Restaurants Bring Perfection To The Meat? How To Buy Steaks In A Steakhouse Restaurant? Visiting An Indian Restaurant For The First Time? Try These Signature Dishes!